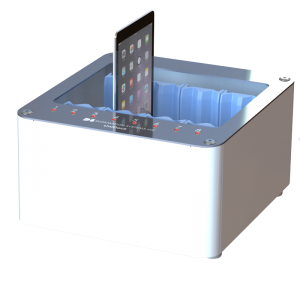 We started with the first security cart for Apple’s iPad™. Then, the first sync-charge solutions. Now, the first Ethernet remote management solutions. Schools and other organizations have been looking at tablets and e-Readers in new and innovative ways. Datamation Systems has introduced a comprehensive series of secure, compact, efficient and affordable storage solutions for mobile devices. And it has also developed the only comprehensive suite of quality deployment tools, including the new EtherSync remote management tool for iOS devices. 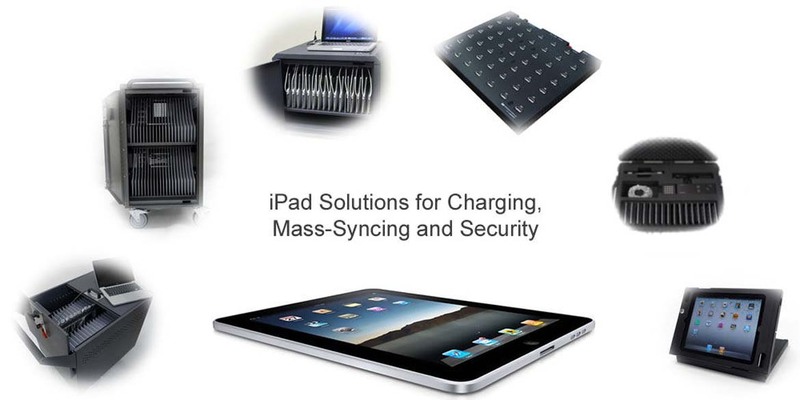 Datamation Systems UniDock, MDM trays and enclosures and hubs provide smart charging and future-proof support for a variety of iPhones, iPads, Android and other mobile devices. But they also enable secure, tethered management of those devices, powered by Cambrionix’s industry-leading USB connectivity. For additional information on managing your mobile devices, including free tools included bundled with many of our devices and 3rd-party MDM platforms (i.e. GroundControl), click here. Cabinets, carts & safes - secure, sync & charge. Holds 8 iPads: from iPad Mini through iPad Pro 10.5″. Supports all iPad 9.7″ models and many protective cases.